In today’s entertainment industry exposure is key. Showcasing your act, brand, sound, visuals, and specially your voice it is very critical. Having a platform where you can expose all of your talents and products it has become the focus for the industry. In 1987 someone came up with this concept in showcasing everything in entertainment under one roof, one place, one community. 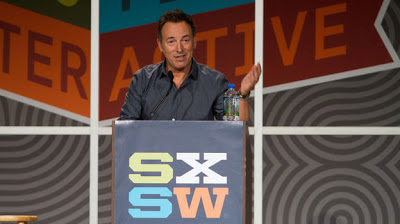 Austin, Texas was the birthplace for South by Southwest a multi-production festival. Now in their 27th Annual Festival, South by Southwest has evolved from a conference about entertainment to a world renounce entity. South by Southwest also, known as SXSW brought all genres of music, films, media and technology together through their annual festival. 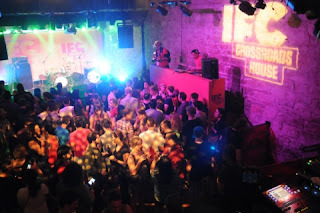 In SXSW an artist, producer, designer, director, programmer and any other creative position in the entertainment industry can display their work and network through the worldwide community that attends the events. Over 2,000 musicians, producers, directors, marketers, fashion designers, and many other sides of the industry from all over the world collide here. Having the chance to show your passion for photography, tattoos, music, video and the many trades for your career, this is the place. 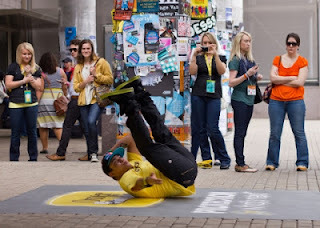 “The SXSW Trade Show is the heart of the converging industries experienced at SXSW. The four-day show celebrates the organizations that define the ever-evolving relationship between media, technology, creators and consumers” (About. SXSW.com). For the Tainted Visions projected idea for our audience, this is one of the best platforms to step on. Putting a giant network of art and entertainment lovers together will spread the concept and love for the lifestyle that many have been living in “secret” or not to the fullest because of the so called mainstream society rejection. SXSW gives a stage to stand and yell to everyone that loves the alternative lifestyle that there are more of us out there. We are all creative, we are all artistic, we are all fanatics, and we are one. Joining this event and be part of Tainted Visions will give you a place to express your passion and talent with others. If you enjoy music, art, photography, design and any other part of the entertainment and tattooing, this is where you belong Tainted Visions.